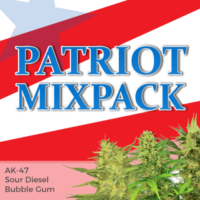 A versatile strain that grows well indoors, and outside given a warm, southern climate, with each seed sold completely feminized, guaranteed to develop into a pure female plant. The Sativa Haze dominance creates a tall plant that benefits from super-cropping techniques, such as pruning and topping to help reduce any height issues, and enhance the total, overall yield. Indoor flowering times are quite fast for a Haze variety, requiring approximately 9 weeks for the plant to completely mature. Outdoor growers will need to ensure a warm enough climate through until the end of October to produce their biggest and best quality harvests. Planted in the Spring, these feminized seeds are capable of producing large, tall plants that can reach up to 1.5 meters. 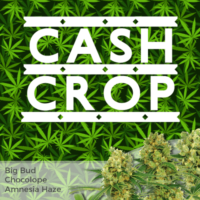 Yields vary, depending upon conditions, but averages of 17 ounces of good quality bud per plant are common, with much larger yields possible. Indoors, with good conditions and climate control, growers should expect to harvest approximately 14 ounces of high quality buds per square meter. 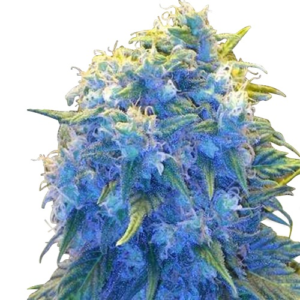 Blue Haze is a very popular strain, loved by recreational users for its deep blueberry flavor and energizing high, as well as medical users seeking natural relief from aches, pain, inflammation and fatigue, as well as many other ailments and conditions. 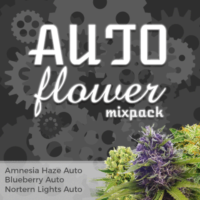 Available now, you can buy Blue Haze feminized marijuana in packs of 5, 10 and 20 seeds, with free, guaranteed shipping to all parts of the USA and Canada. 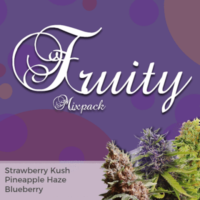 A potent Blueberry-Haze hybrid with a deep flavor and soaring high. Enjoyed by smokers around the world, its recreational high is very sociable, capable of stimulating conversations and provoking creative thoughts. Blue Haze marijuana is renowned for its large dense buds and distinctive blueberry aroma. With moderate CBD levels and a THC content averaging 20%, it quickly generates euphoric, happy sensations and a relaxed, calm feeling. Often prescribed for day-time use for its positively charged ‘buzz’.